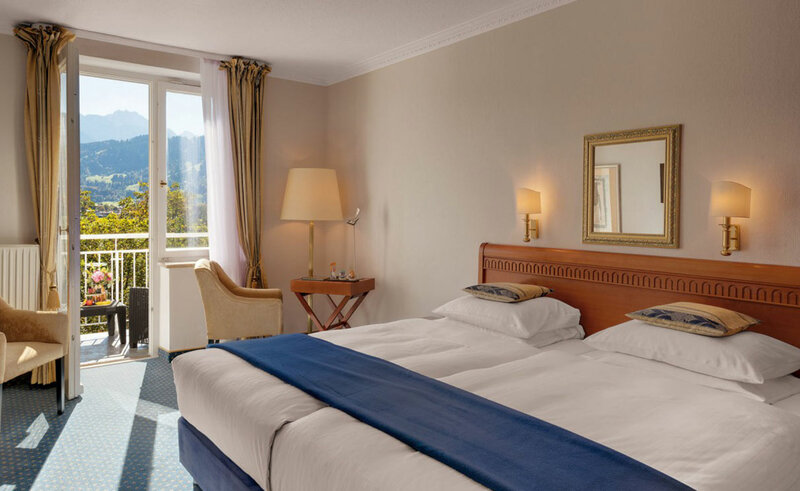 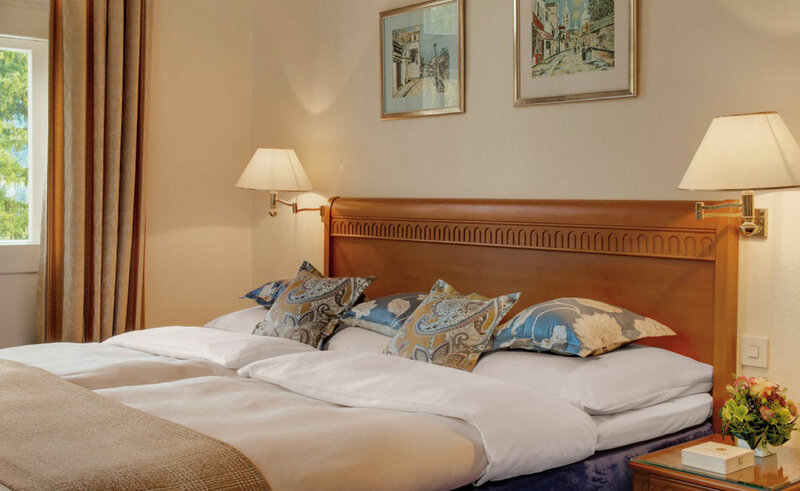 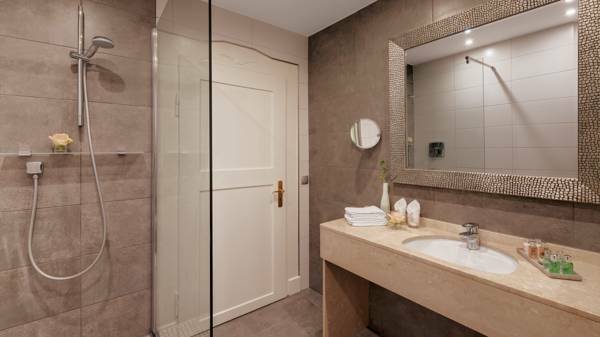 If you’re looking to book a room in Garmisch-Partenkirchen, the Grand Hotel Sonnenbichl is just the right place. 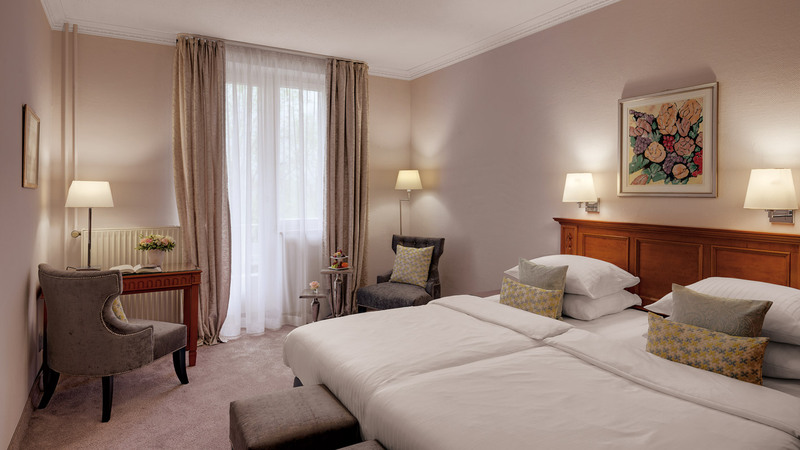 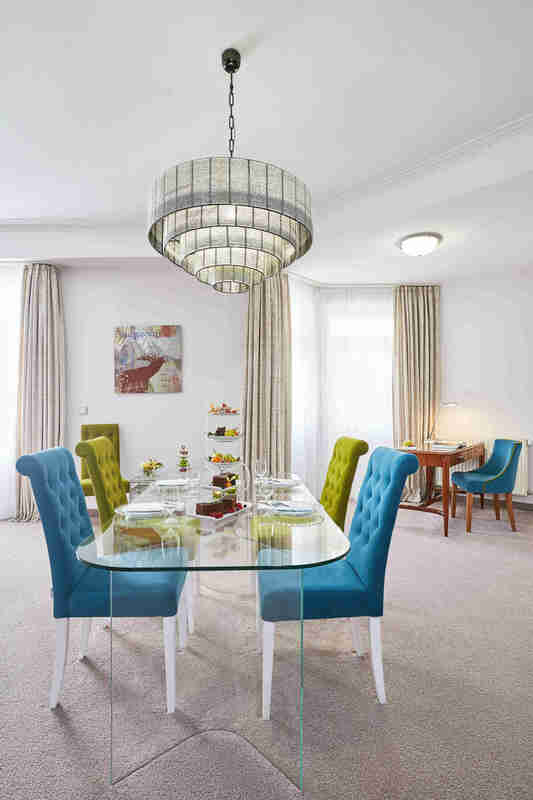 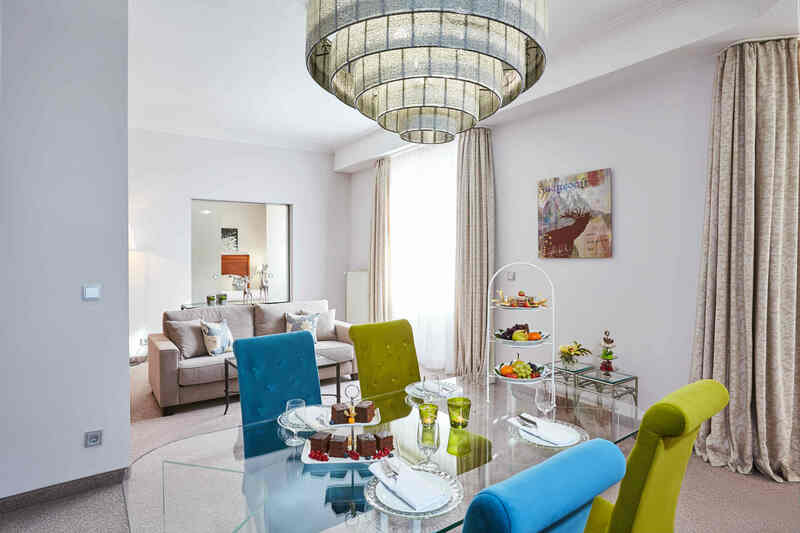 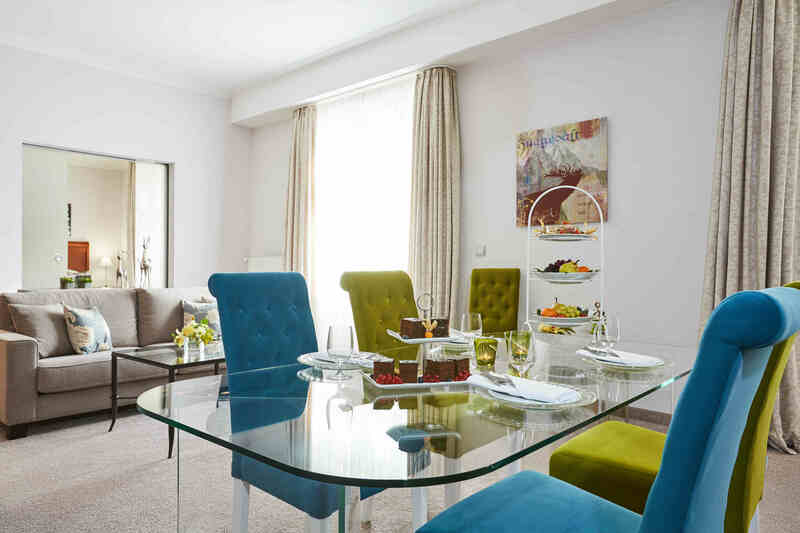 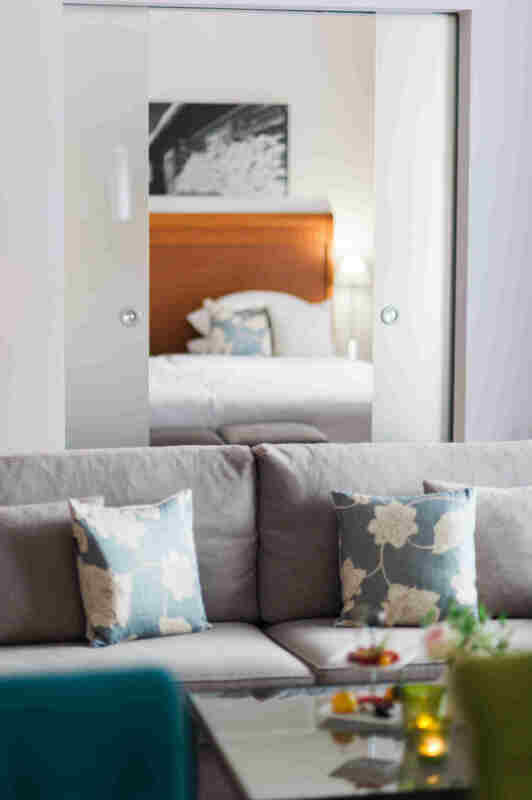 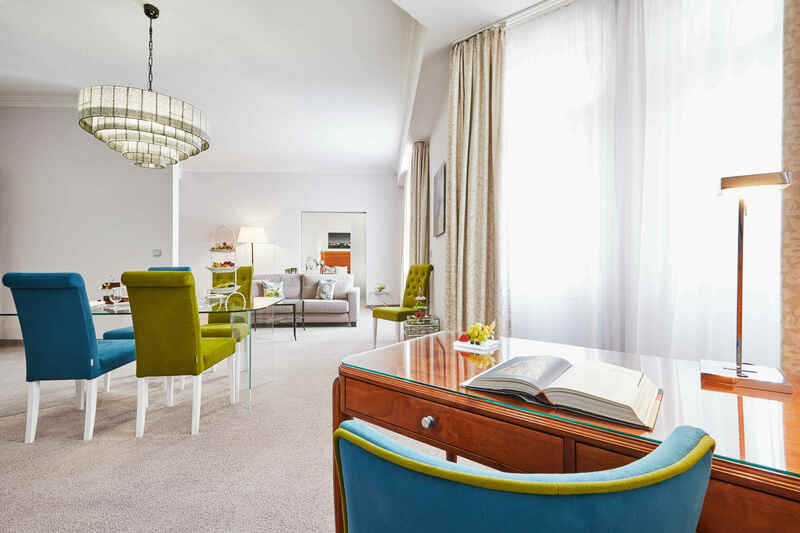 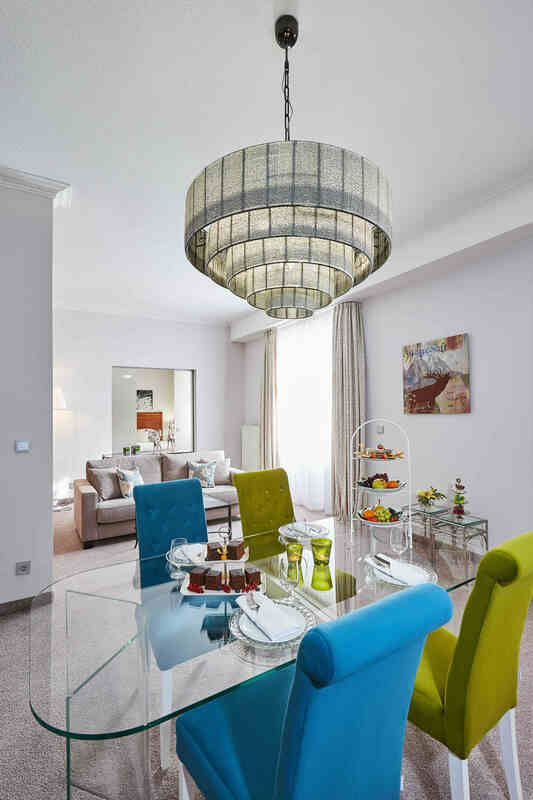 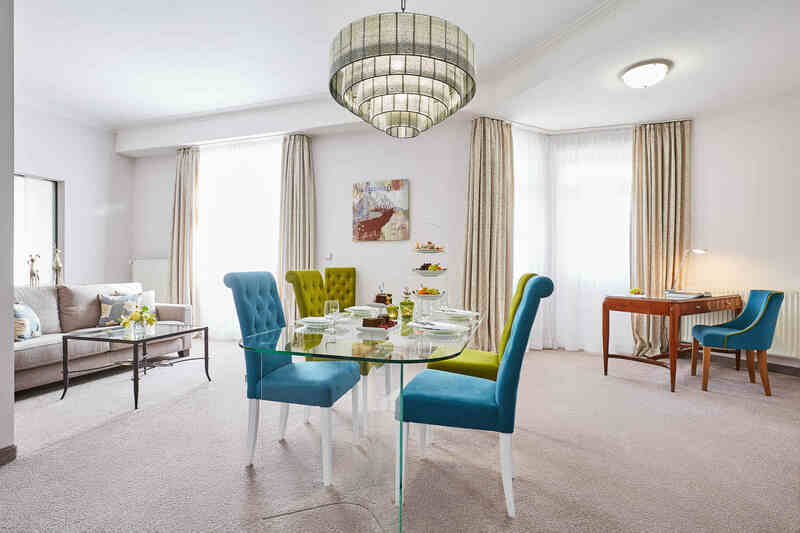 As well as three different types of rooms, we also have four elegant suites. 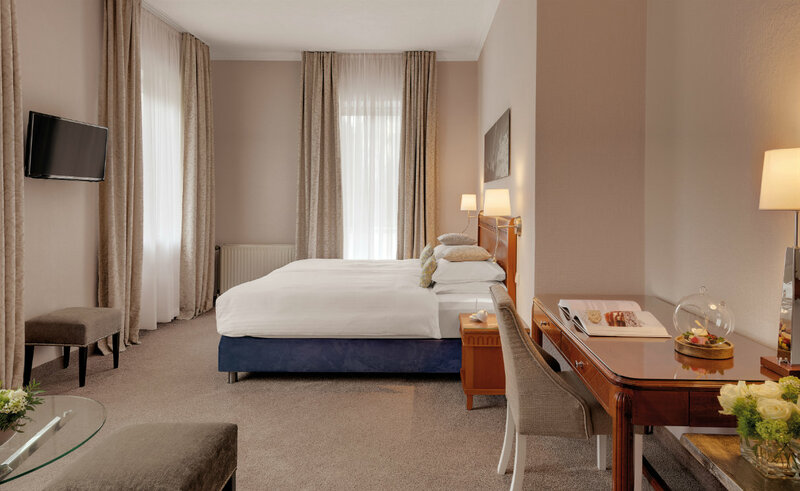 Flat-screen TV and free high-speed WLAN are available in all our rooms. 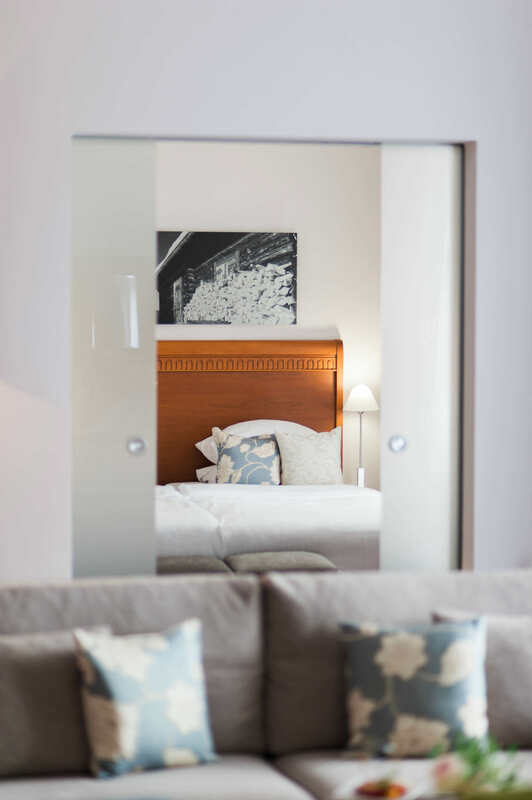 Our drinks service is available 24 hours a day. 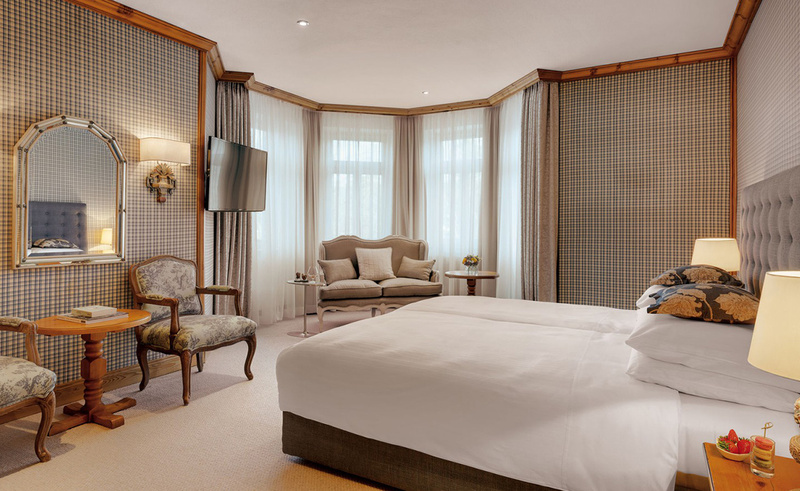 This suite is as fabulous as its namesake, King Ludwig II, a former King of Bavaria. 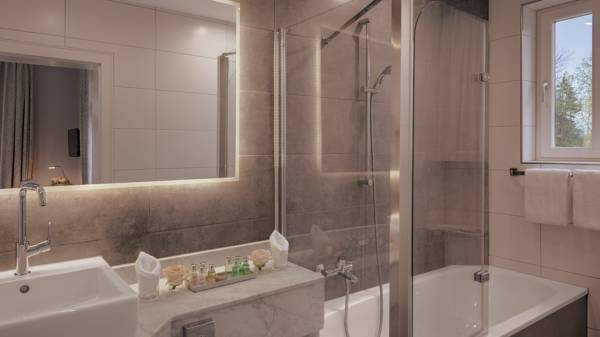 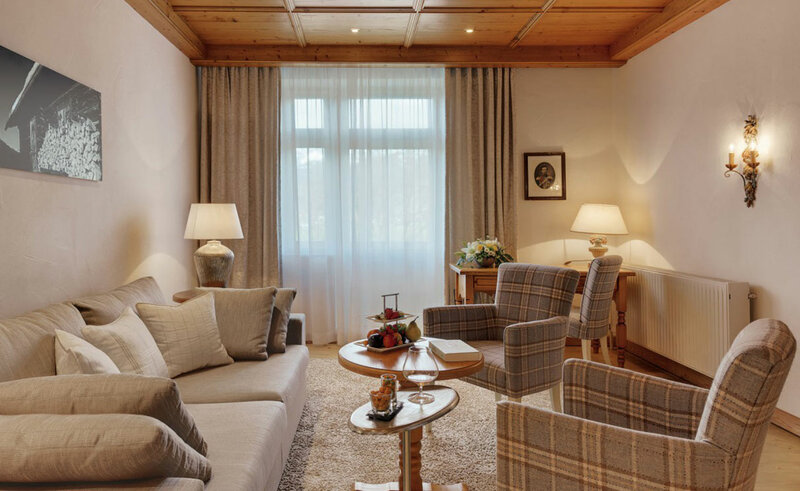 The Suite is tastefully decorated with Bavarian charm and boasts views of the German Alps and Garmisch-Partenkirchen fit for a king. 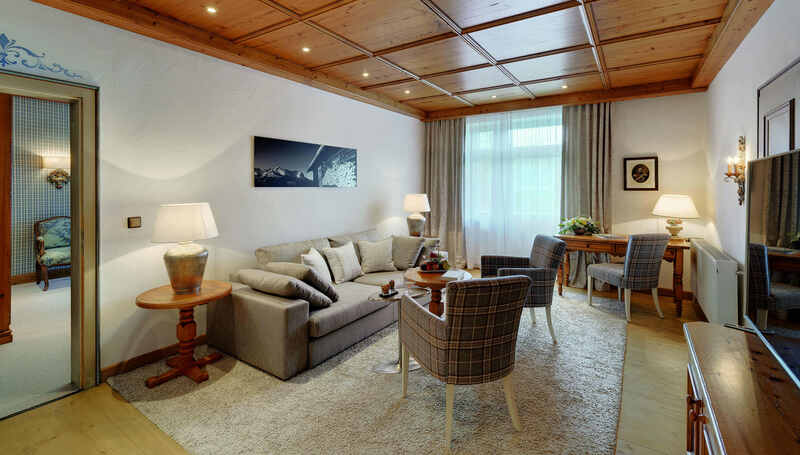 Escape everyday life and enjoy yourself in this stylishly decorated room while enjoying the breath-taking Alpine views from the balcony. 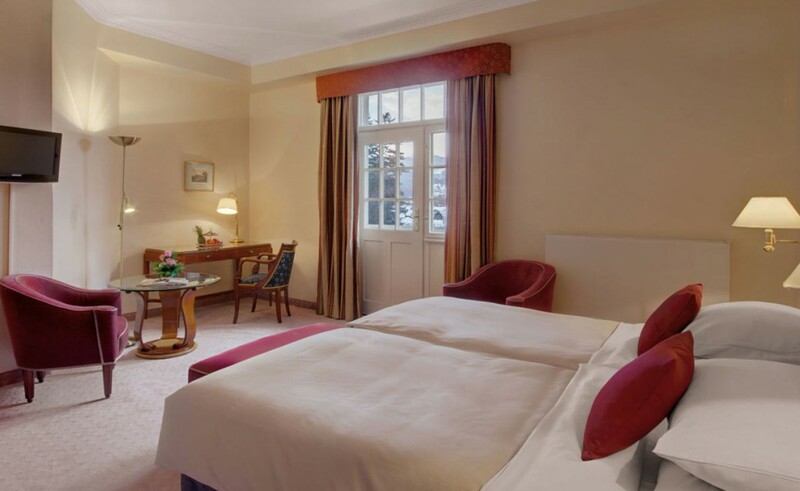 This tastefully decorated Deluxe Room features beautiful views of the Wetterstein mountain range. 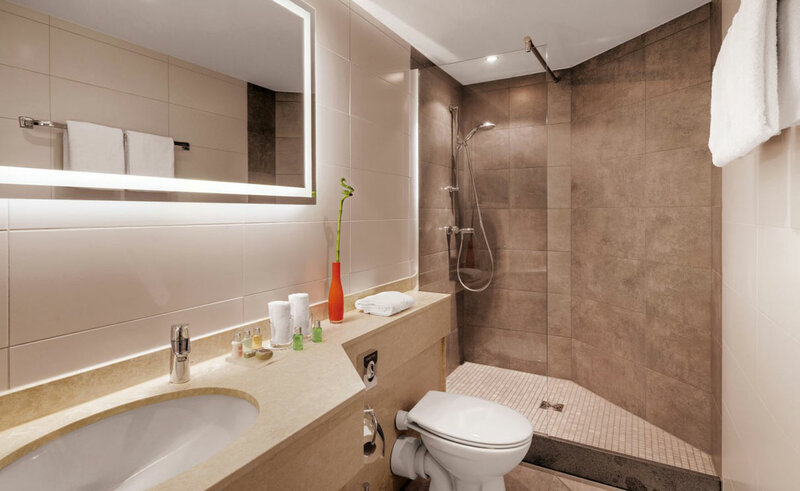 Relax and absorb the good vibes. 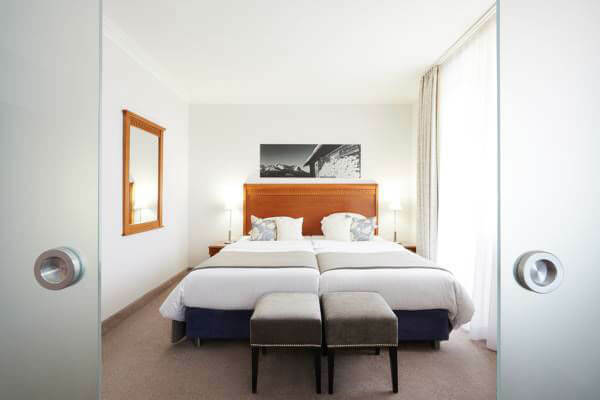 The Superior Rooms boast peace and quiet while enjoying the views of the Kramer mountain. 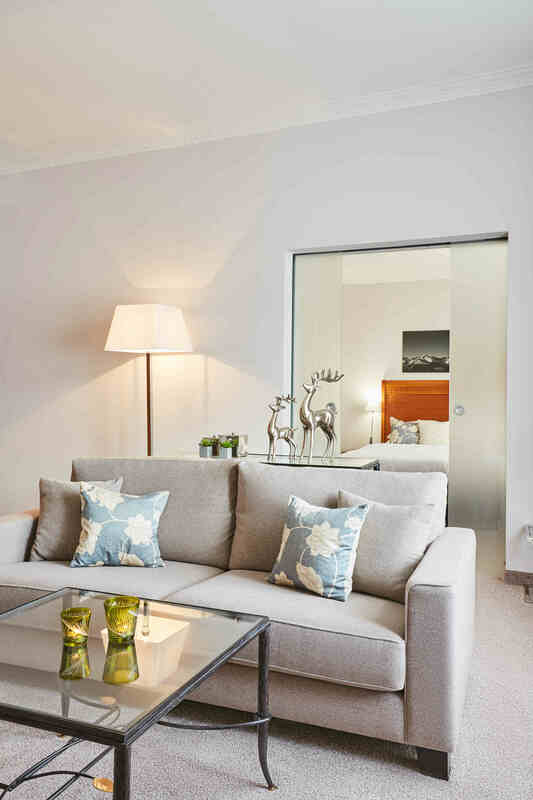 The cosy décor invites you to relax. 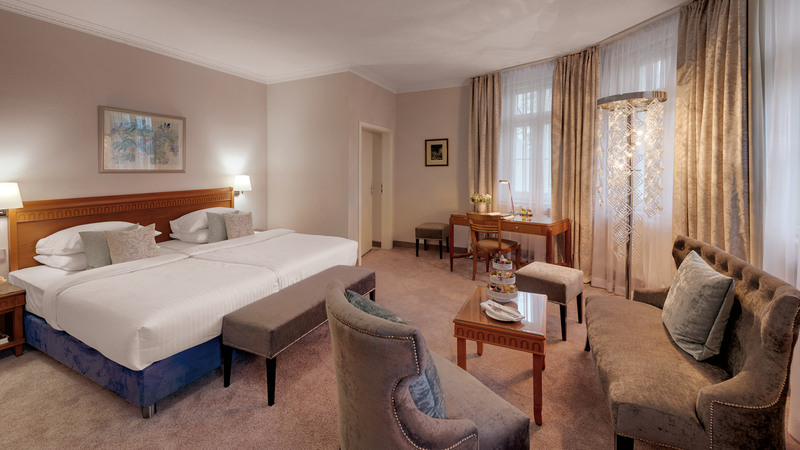 Art nouveau meets modern age: The ambience of this generous suite is characterized through the combination of fresh colours, its many small details and the dreamy view of the German Alps.